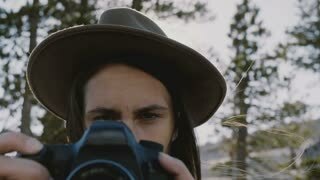 Search Results for "Girl photographer"
Atmospheric close-up portrait of young beautiful photographer girl with camera smiling at Yosemite park slow motion. Studio photography. Young model poses for photographer in photo studio. 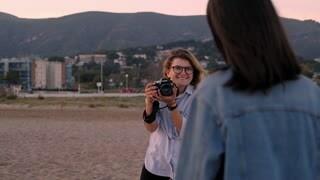 Woman photographing teen girl. Backstage shot during indoor photoshoot. A photographer takes pictures of a teenager girl in autumn Park.